Flame Tree Press, 9781787580381, 240pp. Rob was raised in Bradford before heading, at eighteen, to the bright libraries of Norfolk. Music was his main interest at this time. He played drums and sang whilst writing copious amounts of lyrics, some of which tipped over into the vaguely-defined realm of poetry. In 2003 he made the top 500 of the Dublin International Poetry Competition. He studied archaeology in Queen's University, Belfast before returning to Norfolk and starting to write seriously. He received a boost when he moved to the middlest of middle Englands and joined Abingdon Writers', a fantastic group that were quick point out all his writing sins. He was Chair for a spell but abdicated as soon as decency allowed. When not writing he studies the past: archaeology and the historic landscape remain passions. He's also an exceptionally poor cricketer, turning out for The Bodleian Library's collection of misfits. He did, however, once bowl Sebastian Faulkes. At the Bodleian he tells tourists that yes, Harry Potter was filmed here, but no, they can't go inside. He also works as a proofreader. A freshly-minted father, he spends his time changing nappies, Tweeting and - when the opportunity presents itself - doing the odd bit of creating. He keeps a blog - www.robintriggs.wordpress.com - of assorted writerly ramblings. 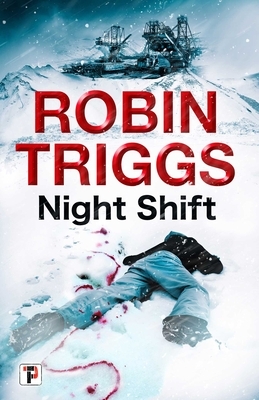 You can also find him on Twitter @RobinTriggs.